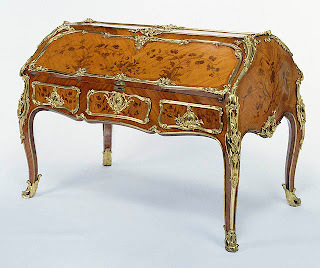 Louis XV Style French Antique Furniture is The French style period from approximately 1730 to 1770, although this king was on the throne from 1715 (the Regence period ran from 1715 to 1723) until 1774. Inspiration taken from plants, hence a curvilinear style. Following the period of transition of the Regency, French style expanded to influence the whole of Europe. The style of Louis XV predominated for more than a century, fulfilling the desire for comfort of the nobility and the bourgeoisie. From the beginning of the 18th century, etiquette was less stiff, society became more frivolous. Card-games and peaceful activities were popular. 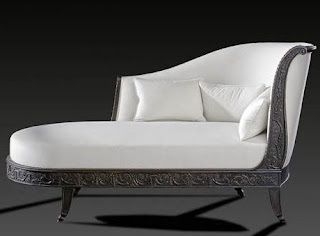 Rooms were more intimate, laid out in a more rational manner and more specific in their uses (boudoirs, greater and lesser salons, music-rooms ...) This variety led to the invention of new kinds of antique furniture, including more comfortable seating of exceptional quality. 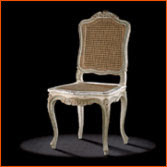 Remembered among the great chair-makers of history are the names of Boulard, Cresson, Delanois, Gourdin and Nadal. The names of the tapestry-makers are not known, except through inventories.